This area encompasses all of Sundown's many separate cliffs: The Main Cliff, Lost Horizon Cliff, The Outback Cliff, The Far Cliff, and Gill's Groove Crag. Sundown Ledge is really the centerpiece of the Kancamagus climbing area. While probably 90% of the climbing activity is rightly focused on The Main Cliff or Lost Horizon Cliff, climbers who venture off the beaten path will be rewarded by solitude, and in some cases, some of the best climbing the area has to offer. All of the Sundown cliffs can be accessed from the parking lot by the Albany Covered Bridge. This is located where Passaconaway Road (aka Dugway Road) intersects with the Kancamagus Highway. Andrew pulls the roof on Romper Room. 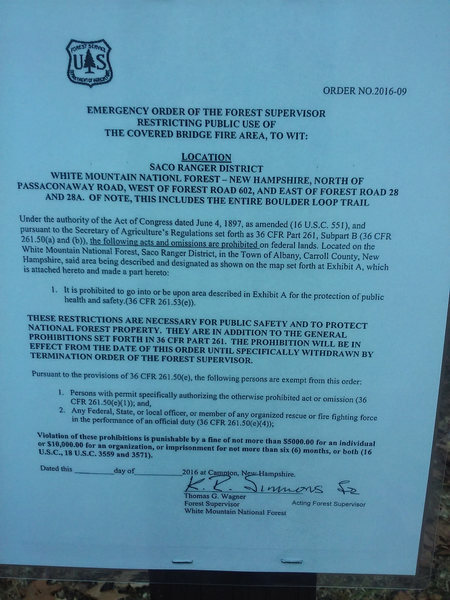 Albany Covered Bridge and Boulder Trail loop closure notice. 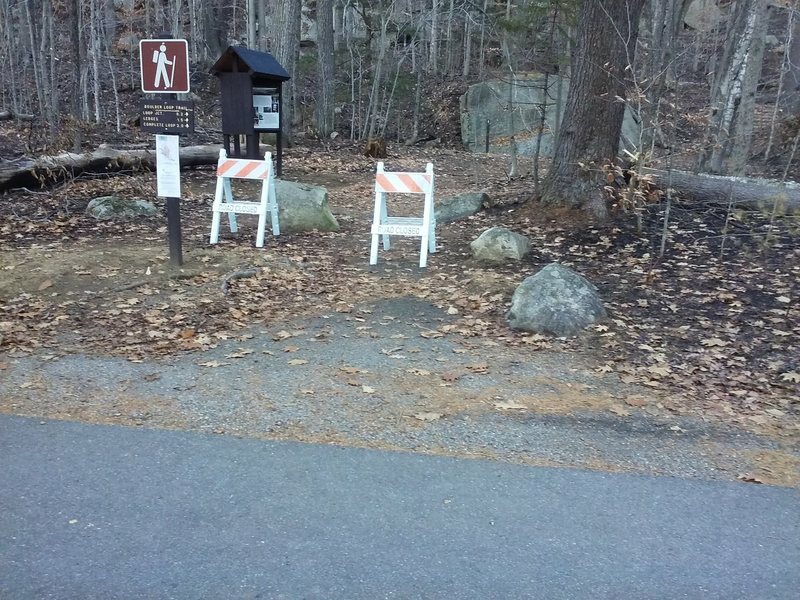 Boulder Loop Trail at Albany Covered Bridge is closed. 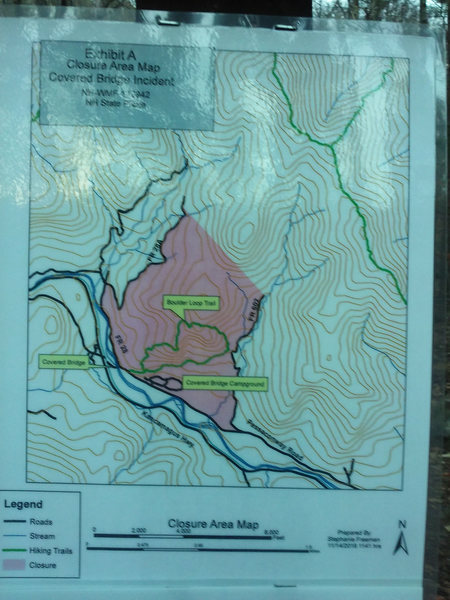 The brush fire that started last week did considerable damage to this area, which is now closed. The closure notice says you can be fined up to $5000 and/or imprisoned for 6 months for violating it.